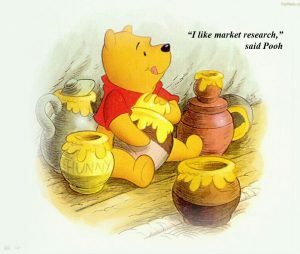 What do Winnie the Pooh, Jeremy Paxman and Sir Humphrey Appleby all have in common? The answer: they all played a starring role in the first ever Trisha Hewitt Communications training course. It has certainly been a period of firsts since I embarked on my new working life, and this week’s first was slightly scary as I got ready to deliver training on a whole new set of subjects. Although I have previously provided media training to many different groups and individuals, this was the first time I have had to deliver a course covering topics such as Effective Communications, Crisis Communications, Branding and Marketing, Delivering Presentations, Plain English, Website Building and Engaging with Social Media, as well as Media Relations. working in the early years’ sector. I said yes. on the screen and then proceed to read it out word for word to an audience who can clearly read it for themselves. However, I knew I needed to have some slides to form a structure to the presentation. 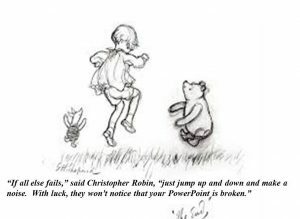 Deciding to seek expert help I contacted a friend who, for the fee of two bottles of red wine, came up with the suggestion of producing slides using a humorous conversation between Winnie the Pooh and his pals Piglet, Eeyore, Tigger, Kanga and Christopher Robin. Although slightly dubious at first, I warmed quickly to the idea after seeing some examples – and amazingly, it worked. 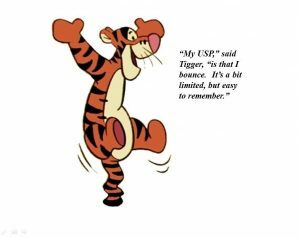 From Pooh announcing his support for market research, Eeyore explaining how to write a press release and Tigger enthusiastically promoting the importance of Unique Selling Points by explaining his own USP was bouncing – “it’s a bit limited, but easy to remember” – the slides enabled me to talk about different topics while adding some humour. I also added a selection of video clips showing the do’s and don’ts of talking to the media featuring the infamous showdown between Michael Howard and Jeremy Paxman, together with a clip of Yes Minister’s Sir Humphrey Appleby using very “unplain English” to explain to bewildered Prime Minister Jim Hacker why he had inadvertently misled Parliament. A huge thank you to Ellen and her colleagues at the Family Information Service who let me try out my new course on them, and who seemed to be very positive about the results. And thanks, too, to A. 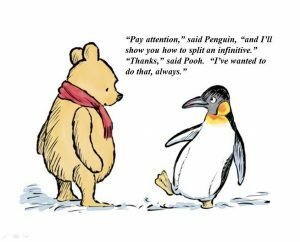 A. Milne, my collection of video stars and to my expert for helping me put it all together!